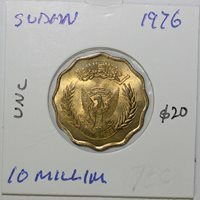 South Sudan Non-proof set 1+2+5+10 Millim + 2+5+10 Ghirsh 1956 1963 1969 Rare! 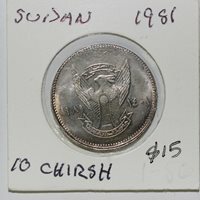 South Sudan 2 ghirsh 1970 AH 1390 KM#43.1 One-year type. Top grade. Rare!